Join our Ambassador Program and earn even more driving credits! Join Peg City Car Co-op and earn free Driving Credits. It’s really simple. Shop locally at any of our participating partners below and get a stamp for each purchase you make. Once your promocard is full, redeem it with us for a $10 Driving Credit. Need a stamp card? Check with our partners, inside the vehicle you’ve booked, or contact us and we’d be happy to pop a few in the mail for you. From concert tickets to gourmet burgers, fair trade coffee to fresh locally grown produce, our partners offer a wide variety of products and services. Check them out below in alphabetical order! Located in the heart of the exchange, Across The Board provides both fun and food in one great place. Stay entertained with over 1200 board games while enjoying drinks, snacks and meals in Winnipeg’s premiere board game cafe. 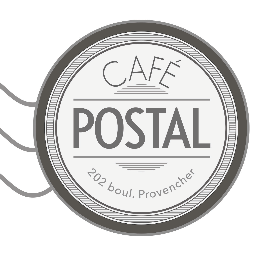 Cafe Postal. Petit café à St. Boniface. Proudly serving Pilot Coffee since 2012. Coffee/Sandwiches. Cinematheque is an intimate movie theatre devoted to screening the very best in Canadian and world cinema. More than just screening films, we also provide artist talks, panel discussions and special events to feed the minds of cinema fans. Cinematheque has been operated by the Winnipeg Film Group for 30 years. The Winnipeg Film Group was founded in 1974 and is a charitable, artist-run organization committed to promoting the art of cinema with a special focus on supporting Winnipeg, Manitoba and Canadian filmmakers. Fools & Horses offers a full espresso menu featuring our anchor roaster, Pilot Coffee, made on Winnipeg’s first and only Modbar. After 11 AM, we open the taps for craft beer and wine. At Generation Green we offer eco friendly alternatives from skincare to cleaning products. We provide a place where local food developers can bring their products to a market setting. Local food developers also offer samplings and information on the development of their products. In addition we also offer “after hours” workshops to help educate on a variety of healthy living options. Our focus is on helping others learn to live better, naturally! Hollow Reed Holistic offers bulk herbs, teas, super foods, essential oils and much more. We try to ensure that the many products we carry are natural, organic, local and ethically harvested. We now also offer a unique and delicious food and drink menu at our new location, believing that in order to have healthy bodies we require a healthy planet. 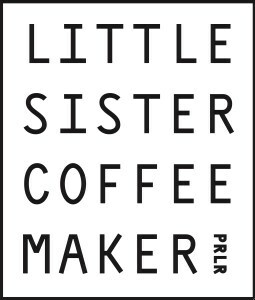 Little Sister Coffee Maker is interested in smiling and making delicious coffee in the heart of Osborne Village. 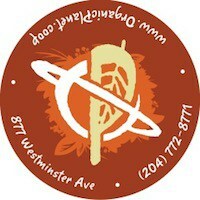 Second location now open in South Osborne! MAKE is an espresso bar and retail-exhibition venue. MAKE is interested in a café culture where many forms of cultural dialogue take place. Along with a quality coffee experience, MAKE celebrates design culture in Winnipeg through curated events that provoke engagements between the public and the design profession. Organic Planet Worker Co-Op is committed to supplying Winnipeg with fresh produce, groceries, gluten-free goods, non-toxic health and beauty products, and providing an organic and vegan deli. Whenever possible, Organic Planet purchases from local producers and from other co-ops. Fairly traded and organic products are preferred, as are smaller, more independent suppliers. This reduces shipping costs, both financial and ecological, and ensures that our money stays in our community to support progressive local industry, workers and farmers. We’re committed to the principles of Community Economic Development and building a stronger, more self-sufficient community. Ground to order coffee, cup by cup. Parlour proudly serves and sells several of North America’s leading micro coffee roasters including 49th Parallel and Phil & Sebastian Coffee Roasters. Parlour also carries an extensive range of hard to find coffee and tea accessories. The Park Theatre Café, now in its eighth year of operations, is a Western Canadian Music Award ‘2012 and 2013 Best Venue’ nominee, and 2012 Talent Buyer of the Year award winner. The Park Theatre has established itself as a premiere live entertainment spot in Winnipeg. As an alternative to the city’s large music venues, the 250 seat Park Theatre is the ideal intimate setting for any artist wishing to truly connect with their audience. With its crisp sound, intimate setting, beer on tap, full service bar and gourmet coffee, it’s no wonder artist and audience alike keep coming back. Pollock’s Hardware Co-op is one of Winnipeg’s oldest and coolest hardware stores! Established in 1922 we are one of the few independent hardware stores to make it through the boom of big box stores. While thriving in the North End we are committed to staying true to our community, our members and Winnipeg. We now have a 3rd location in South Osborne as well! You would be amazed at how much product we squeezed in to that place! Like a mini version of our North End store you would think it was there forever! A must see! A big giant thank you to all our members, share holders, our awesome board and devoted employees…. we wouldn’t be here with out you! 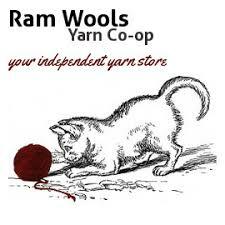 Ram Wools became Ram Wools Yarn Co-op in April, 2009. We strive to provide a great selection of high quality yarns, tools and accessories at the best possible price to Winnipeg’s fibre craft community. Since becoming a worker cooperative, we have become well known for our Creative Commons licensed free patterns, our affordable classes, knowledgeable project help and friendly service. This commitment to open source idea sharing is carried over to everything we do, including our technology and business model. Also it’s worthwhile noting that as a worker co-op, we don’t require our customers to purchase a membership share to shop. Everyone is welcome! Life is too short for bad coffee. At Thom Bargen we are more than a specialty coffee shop. We are a space that fosters creativity in our cups, on our walls and beyond our doors. We live as intentional neighbours in the heart of West Broadway and we believe that coffee is as delicate as good food or fine wine. We invite you to join our dialogue and meet us at the intersection of culture, coffee and creativity. 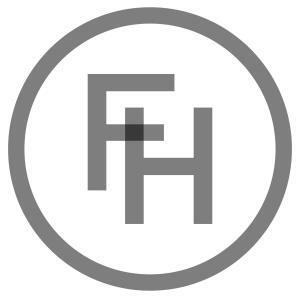 FROGBOX Winnipeg rents eco-friendly, reusable plastic moving boxes and moving supplies. From, to and within Winnipeg, make your move easier and greener with our moving box rental service! It’s easy: we deliver the boxes, you pack and move, and then we pick them up! Whether you’re moving, renovating, or in need of temporary storage boxes for an event, the convenient, affordable and eco-friendly solution is FROGBOX. We are members of 1% For The Planet, supporting the local citizen science frog tracking project: Nature North’s Manitoba Herps Atlas. Member Perk: $25 off/minimum $100 order with FROGBOX. U-Drive Car Rental is Winnipeg’s premier car rental option. Over the years, they have established a reputation of simply being the #1 choice for the car rental industry in Winnipeg. They have since become a Multi-Award winning company, earning the Top Choice Award and Consumers’ Choice Award for business excellence. Member Perk: %15 off Regular Rates with U-Drive. Not applicable on weekend rates or specials. 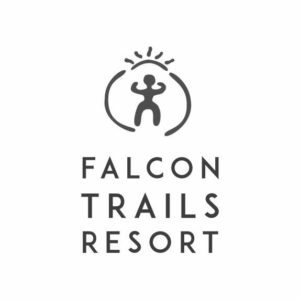 Falcon Trails Resort is a little forest resort on the shores of Falcon and High Lake in the Whiteshell Provincial Park. Hand-crafted lakefront cabins. Private hot tubs, remote hike-in eco cabins, docks, beaches, canoes, hiking, biking and ski trails, wood fireplaces, and the Falcon Ridge alpine ski slopes just a few steps away. Member Perk: 10% off cabin rentals at Falcon Trail Resort (2 night minimum) when you book a Peg City Car Co-op car, truck, or van to travel there. You’ll also receive 10% off your Peg City booking! The West End Cultural Centre is a non-profit, charitable organization that promotes local, national, and international artists by fostering artistic development. The WECC presents, enables and encourages live music and artistic expression and provides a meeting place for artists and the community. Wilderness Supply started as a mom-and-pop outdoor store, and our flagship location is still located on the somewhat inconspicuous Ferry Rd in Winnipeg, Canada. Whether you find it with a paddle in hand, by slipping into a well-worn pair of hiking boots, gliding through a winter wonderland or traveling to the end of the earth, we at Wilderness Supply understand you need reliable equipment, and ensure we carry the best gear for all your adventures.